Alexander added: “I am so happy to be with with Catch of the Day to help inject some fun into online shopping." The online retailer is part of The Catch Group which consists of brands including Scoopon, Eatnow and Mumgo. US actor Jason Alexander is the new face of daily deals website Catch of the Day. 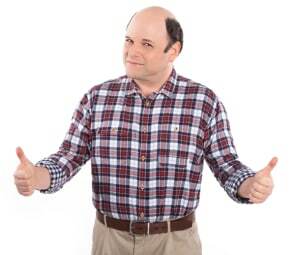 Local daily deals website Catch of the Day has landed former Seinfeld star Jason Alexander to front its first-ever brand campaign, set to appear in a year-long ad blitz. The actor and comedian, best known as George Costanza on Seinfeld, will appear in out-of-home executions, online video content and at shopping events throughout the year. The new campaign, which will run for a year, is the first ever for the website, founded in 2006. Gabby Leibovich, co-founder of the brand, said working with Alexander was "a dream come true". “We have always been big fans of his, and when we started Catch of the Day we often joked about how great it would be to work with him. Jason is fun, cheeky and doesn't take himself too seriously, which is exactly what [we] are about".